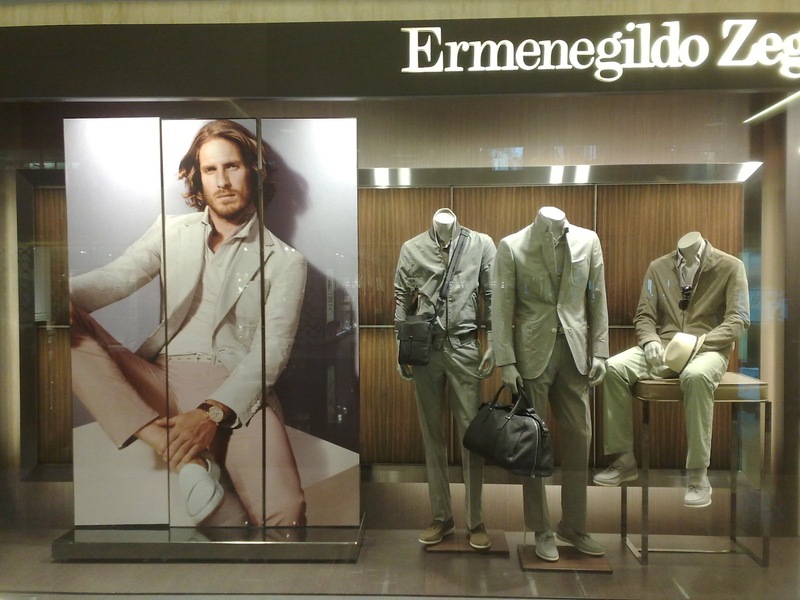 Ermenegildo Zegna is Italy's legendary suit maker that has hundred years of experiences in producing the high quality men suits and other men stuffs. 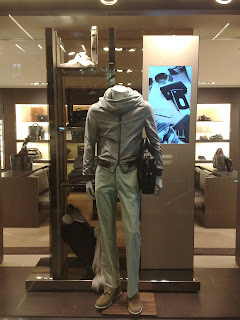 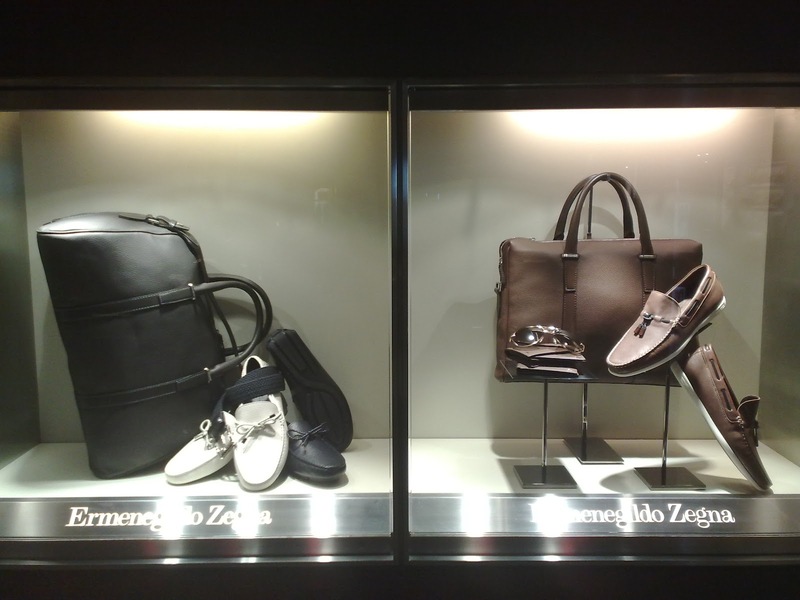 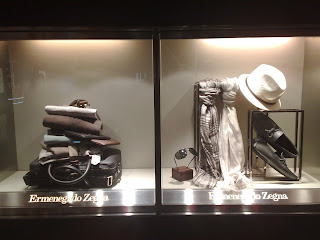 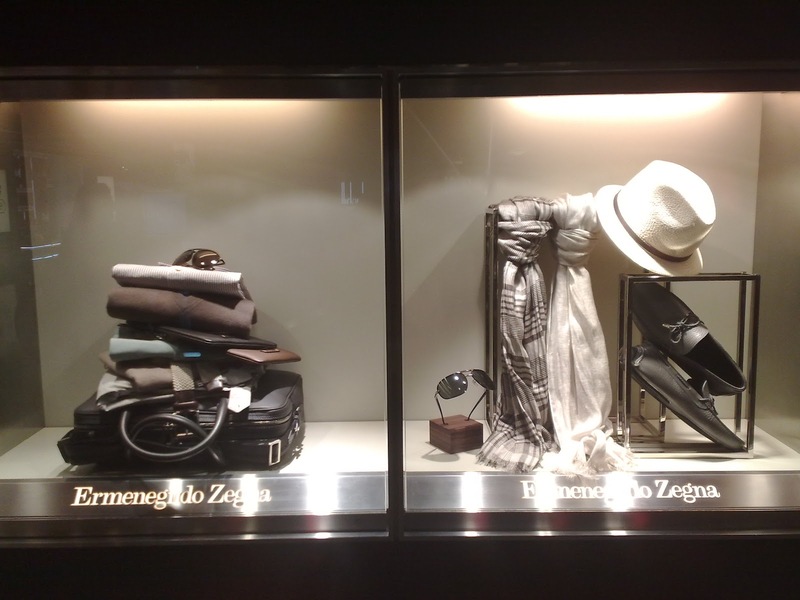 The window display of Zegna everywhere is about masculinity from the choice of property materials, the mannequin pose styles, and of course the right choice of clothing and accessories. 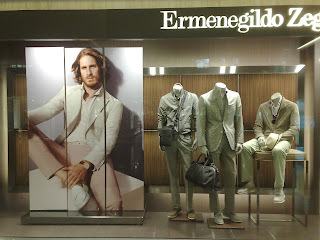 The example of this shop window in Paragagon Shopping Centre, Singapore, where everything that I or other men want is available on it.